Bruce has over 15 years of experience in the design and development of new products, from concept to production, of uninterruptible power supply products for both the IT and commercial markets. He’s a certified U.S. Department of Energy Data Center Energy Practitioner (DCEP) as well as a past member of the Green Grid where he led the development of the EPA data center efficiency assessment service. In the last ten years the innovation and advancement of data center design, with a focus on energy efficiency and operational optimization, is now commonplace. The modern data center is a complex and intertwined ecosystem dominated predominantly by power distribution, cooling infrastructure/air distribution, and airflow management at the room, row and cabinet level. The daunting task of today’s IT managers and data center engineers is to maximize the utilization of the given infrastructure, optimize the physical layout of the floor space and minimize energy consumption while still maintaining an extremely high level of availability. The design and implementation of products for the data center space must be made within the context of the ecosystem as a whole. Of most importance are changes to the data center that affect the cooling infrastructure and air flow within the data center. Small changes at the room, row or cabinet level can have a significant, even catastrophic, effect on IT equipment temperatures and overall uptime of the data center. 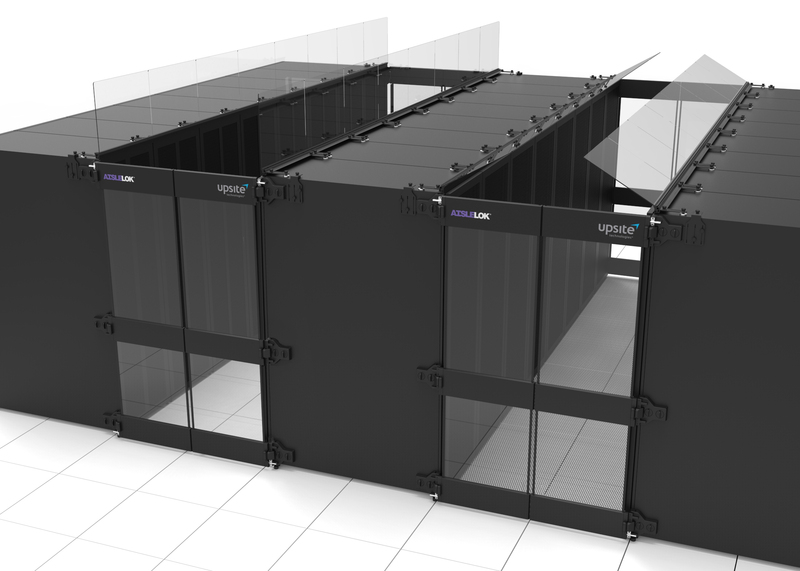 Fortunately, modern software tools, specifically Engineering Simulation and Computational Fluid Dynamics (CFD), provide an accurate means to model and simulate the effect of single, multiple or complex changes to a data center. Reduces time and cost of progressive prototype creation and testing. By modeling different design proposals one can eliminate many of the design iterations that do not meet design, functional, or other requirements. This greatly reduces the number of physical prototypes that need to be built and tested. Identifies design deficiencies and provides data for design optimization without the need of physical models. Analyzes the performance of the proposed product in the data center and reduces risk to data center uptime and operations. It also provides an excellent and accurate means to understand how the new product affects air distribution, IT temperatures, and overall performance of the data center; and how the data center can be further optimized to take advantage of the new product or component. Allows for the most cost effective solution in the shortest period of time. Time to market is reduced eliminating most of the nonviable design iterations that need to be built and tested. 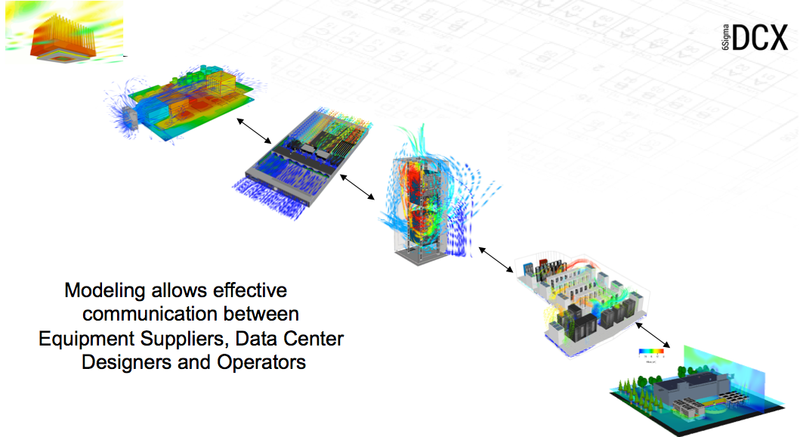 In summary, CFD modeling of new products for the data center, and resultant performance impact on the data center, should be considered mandatory for today’s complex data center ecosystem. Engineering Simulation using CFD provides the means to design and implement optimized solutions, without compromising uptime, while meeting requirements for increased energy efficiency, increased infrastructure utilization and decreased operational cost. 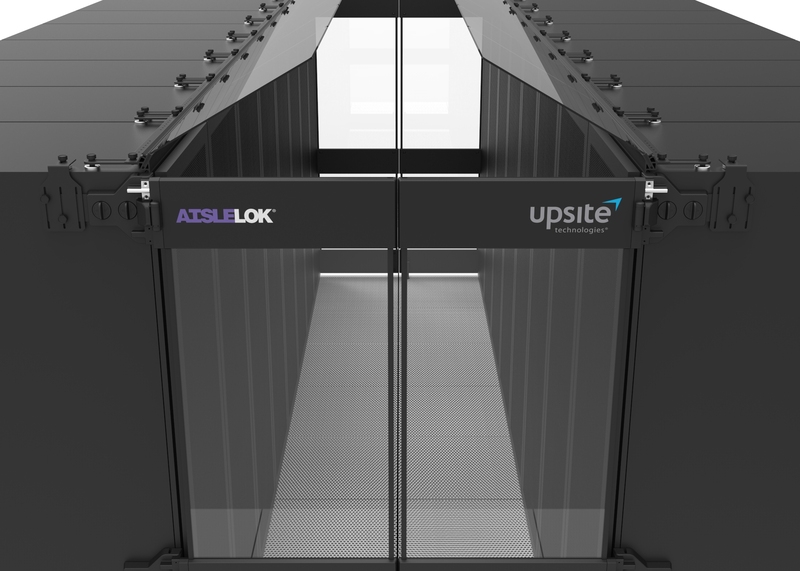 Learn how Upsite Technologies used CFD analysis in the development of AisleLok Modular Containment by downloading our free white paper: AisleLok® Modular Containment vs. Legacy Containment: A Comparative CFD Study of IT Inlet Temperatures and Fan Energy Savings. This entry was posted in Data Center DCIM Datacenter Datacenters Datacentre and tagged aislelok, CFD, containment, Datacenter, datacenters, datacentre, engineering simulation, upsite. Bookmark the permalink.